Alterations Boutique is renowned for reinventing the world of fine Tailoring and Alterations. Specialising in Ladies Alterations, Mens Alterations, Bridal Alterations and Bespoke Tailoring, we represent the pinnacle of superior craftsmanship, unsurpassed quality and attention to detail. Located in the heart of Manchester City's shopping district in the iconic Royal Exchange Arcade, Alterations Boutique Manchester is renowned for providing the finest tailoring and alterations services. Established in 1983, our exquisite boutique has gained a reputation amongst customers as well as leading fashion brands for superior craftsmanship, outstanding customer service, meticulous attention to detail and reasonable prices. Leaning on decades of experience, our talented team of highly trained tailors and seamstresses has the expertise to alter your garment to perfection, and they are fully committed to providing a unique experience, tailored for you. 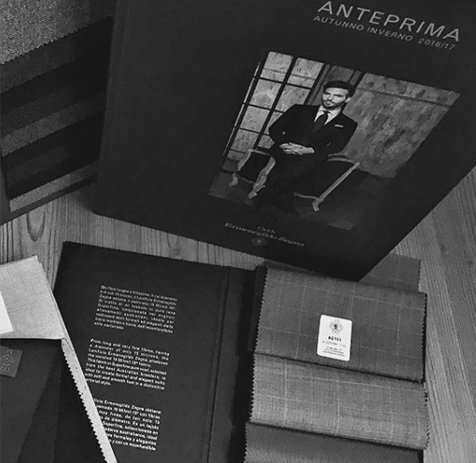 We invite all our customers to take advantage of our complimentary one-to-one Styling and Fitting consultation during which our specialists will discuss your needs and requirements, give you their honest advice and assist you in achieving the perfect look that suits your personality and lifestyle. At Alterations Boutique Manchester our number one priority is to provide you with the best possible experience that is why we have introduced additional services like our bespoke order management system which will send you updates about the status of your order, late opening hours, same day alteration service and our Perfect Fit guarantee policy. With over 30 years of experience, Alterations Boutique have become Manchester's foremost experts in garment alterations, restyling and remodelling. "My wedding dress needed alterations (widening at the back and making it a bit smaller at the top at the front). They have done a wonderful job. It now fits fabulous and I am very happy, looking forward to the big day."